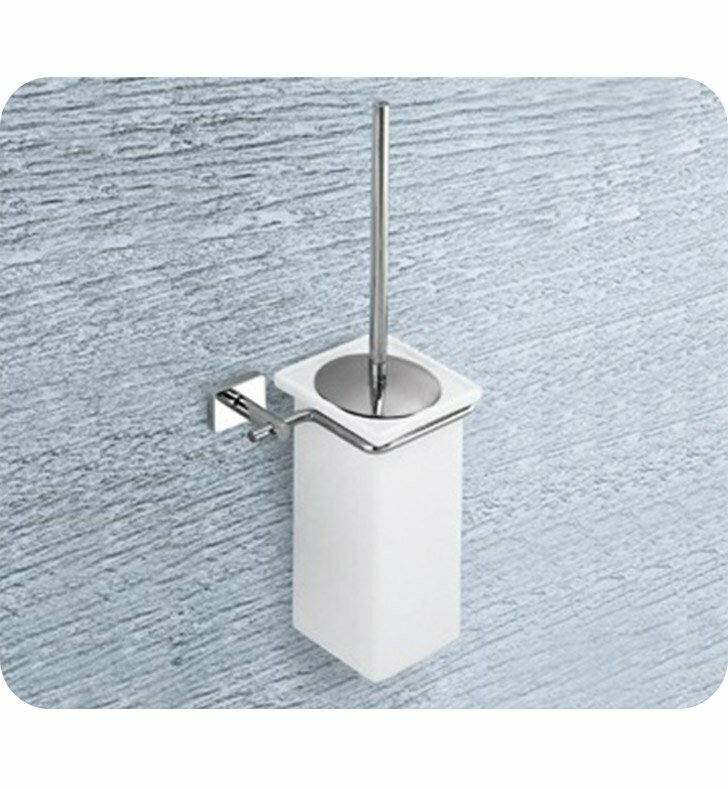 A designer wall mount toilet brush & holder made in high quality ceramic and coated with chrome. This toilet brush from the Gedy Minnesota collection is a contemporary-style toilet bowl brush & holder. Made in and imported from Italy. Will compliment your designer personal bath.